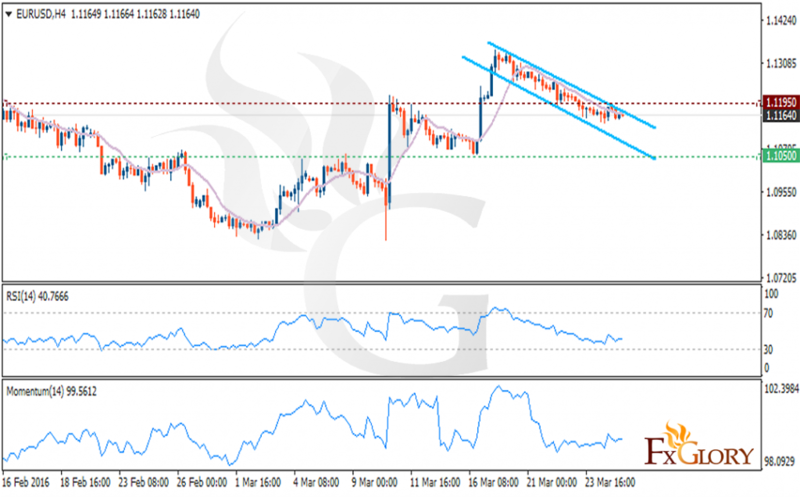 EUR was affected by the Thursday news about the German GfK consumer drop and income expectation decline. German economy is getting a key factor in EUR actions these days. Furthermore, US dollar was higher on Thursday after the unemployment rate decrease while the Markit Services PMI went above 50. EURUSD declined yesterday and is fluctuating under the moving average of 10 day making resistance at 1.1195 and support at 1.1050. The H4 chart is showing that this pair is testing the roof of the descendant channel as marked in blue.The indicators are staying in negative territory suggesting the bearish trend. Sellers can still open their positions and those who opened their short positions due to our analysis yesterday can keep them open.